The formation of the Achaemenid Persian Empire began in 550 B.C., when King Astyages of Media, who dominated much of Iran and eastern Anatolia (Turkey), was defeated by his southern neighbor Cyrus II, king of Persia. Cyrus adopted a policy of allowing conquered areas autonomy (a certain amount of independence) provided they paid their taxes. The Persians were also very tolerant of local religions. Later Persian rulers also followed this policy. Under Darius, the Persian Empire was divided into areas called satrapies and each was ruled by a man called a strap. In 521 BC, Persian ruler Darius killed the usurper Gaumata and takes control of the empire, taking great pains to legitimize his rule by installing an inscription at Pasargadae to record his ‘descent’ from the legendary founder of the Persian dynasty. He also regulates the system of control within the empire. Instead of a number of policies with different systems of rule, he creates a uniform structure of about twenty provinces. These are often called satrapies, after the Greek interpretation of the original Persian word for ‘protecting the kingdom’. He extends the satrapy of Egypt to include Cyrene. The next ruler of Persia, Darius I (522-486 B.C. ), added the Punjab region in India and Thrace in Europe. He also began a conflict with the Greeks that continued intermittently for more than 150 years until the Persians were conquered by Alexander the Great. 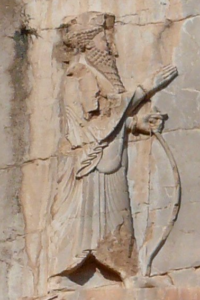 Although Artaxerxes II had the longest reign of all the Persian kings, very little is known about him. Writing in the early second century A.D., Plutarch describes him as a sympathetic ruler and a courageous warrior. With his successor, Artaxerxes III (r. 358-338 B.C), Egypt was reconquered, but the king was assassinated and his son was crowned as Artaxerxes IV. 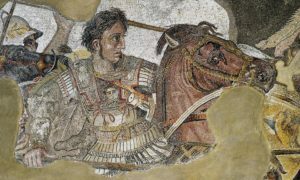 Alexander effected a temporary integration of the Persians into his empire by enlisting large numbers of Persian soldiers in his armies and by causing all his high officers, who were Macedonians, to wed Persian wives. His death in 323BC was followed by a long struggle among his generals for the Persian throne. The victor in this contest was Seleucus I, who, after conquering the rich kingdom of Babylon in 312BC, annexed thereto all the former Persian realm as far east as the Indus River, as well as Syria and Asia Minor, and founded the Seleucid dynasty. In 480 BC another Persian ruler, Xerxes, invaded Greece. This time the Persians captured Athens and they burned the Acropolis. However, their fleet was crushed at a naval battle at Salamis. In 479 BC the Greeks won a decisive battle at Plataea, which assured Greek independence. 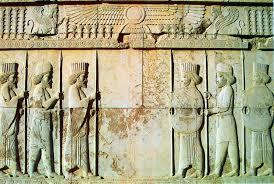 Xerxes was assassinated in 465 BC. In AD 224 Ardashir I, a Persian vassal-king, rebelled against the Parthians, defeated them in the Battle of Hormuz, and founded a new Persian dynasty, that of the Sassanids.